South Melbourne earned the nickname ‘the Swans’ because of the number of interstate, especially Western Australian, players in the 1933 Premiership team. It is ironic that the team with the foreigner’s nickname became the VFL’s first interstate team when the financially troubled South Melbourne found a new home and a renewed life in Sydney in 1982. South Melbourne was a middle class suburb directly south of Melbourne’s CBD. From the 1950’s to 1970s, while Melbourne’s outer suburbs dramatically expanded, South Melbourne was one of the inner suburbs that experienced a decline. The area became home to a number of Housing commission projects. The 1980’s revival of the area came too late to affect the fortunes of the club. Founded in the 1870’s, the South Melbourne ‘Bloods’ won VFA success (1881, 1885, 1888, 1889, 1890) and were one of the eight founding VFL clubs in 1897. Two early VFL premierships (1909, 1918) were followed in the 1920’s by years in the middle of the table. 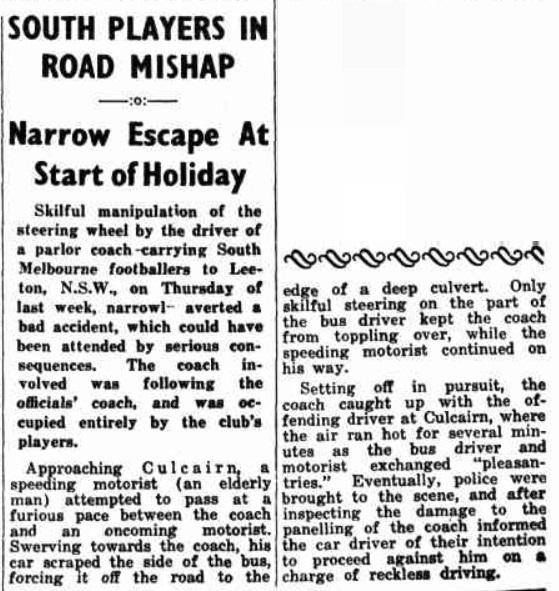 Financial support and leadership from 1933 club president, local supermarket baron and Member of Parliament, Archie Crofts led to an interstate player buying spree. South Melbourne’s ‘Foreign Legion’ provided club success with finals appearances from 1932-1936 as well as the 1933 premiership and Grand final losses in 1934, 1935 and 1936. 1933 would be the clubs last Premiership for 72 years when in today’s AFL, the Sydney Swans won premierships in 2005 and 2012. Between 1937 and 1969 the club had only two finals appearances, the last, in 1945, culminating with the team’s loss to Carlton in the famous ‘bloodbath’ Grand Final. During this lean period the club continued to win Brownlow medals with Ron Clegg (1949), Fred Goldsmith (1955) and Bob Skilton (1959, 1963 & 1968) winning medals during this period. 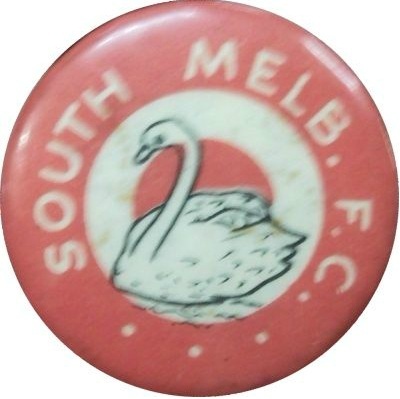 1982 - Team name changed from South Melbourne to "Sydney Swans"